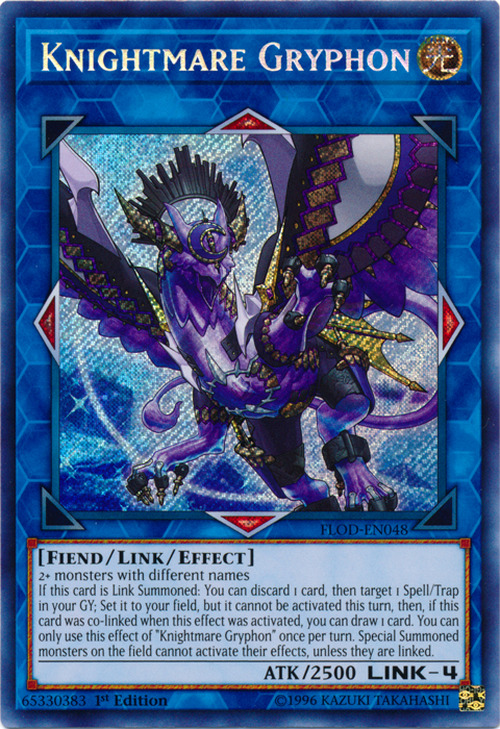 This card is based on the Griffin. 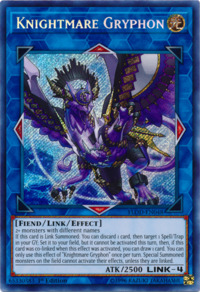 This monster appears in the artwork of World Legacy's Nightmare. The spiky armor attached on this monster's shoulders, as well as its purple and gold color scheme, is similar to the spike from the helmet of Mekk-Knight Purple Nightfall. This monster also has the same ATK as Purple Nightfall.